As an independent designer, I strive to provide complete and accurate instructions for knitting my designs. Knitters will find my designs to be user-friendly, with detailed information included. All yarn requirements are stated in generic terms to make it easy to use your own choice for the designs, with information on what type of yarn is recommended to achieve a successful end result. Knitting Class information for my current classes in the far Northwest Suburban Chicagoland area can also be found here. If you are in the area, please come to learn more skills to enhance your knitting experience! For more information on my designing and teaching background, please visit my About Me page. 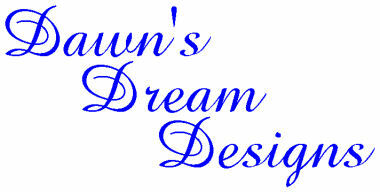 I also have a separate personal knitting website, Dawn's Knitting Notebook. Please visit to see what I've been working on, plus many designs from the past that could show up here in the future. Please let me know if you see a past design that you are interested in! Please contact me for more information on my designs. Wholesale inquiries always welcome. Email me for info and terms.